As many of you know already, for the last three years, I have been holding the NJ All-Girls Chess Camp - a one-day program that caters to young, interested (sometimes even completely non-interested) future female chess players in hopes of exposing them to the game or helping to retain their interest in it. Since the camp is 100% free to all participants, I hope that you would be willing to help donate in order to help provide each player with a t-shirt, chess set, and a beginner's training book. Every dollar would be greatly appreciated. For those of you new here, the camp is one of many steps I hope to take in order to help close the huge gender gap in the game of chess. If you look at the top rated female player my age in the US, their rating is maybe about 2200 but if you look at the top male player my age, their rating is somewhere around 2600. 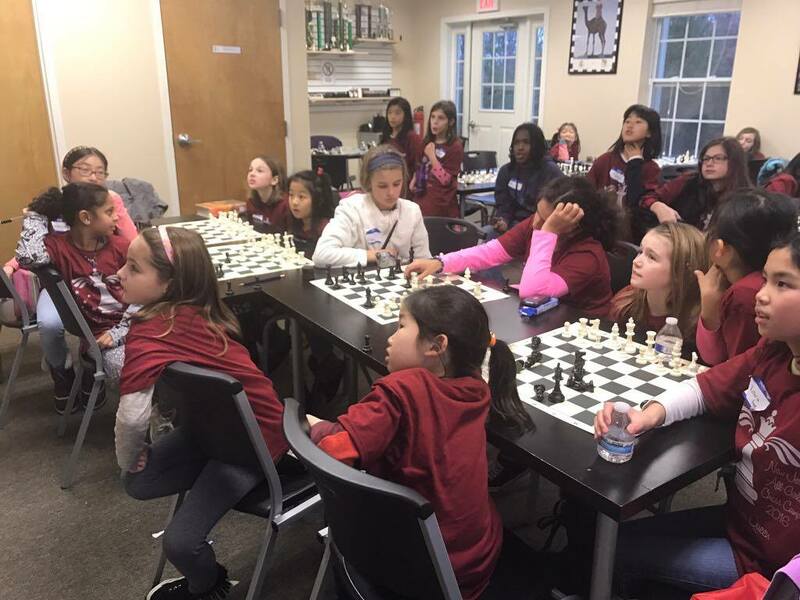 With this camp and hopefully later on branches in various states (if interested in helping organize one in other states, please contact me at girlschess.nj@gmail.com), I am hoping to inspire and spread my love of chess to more young girls in hopes of at least increasing the number of female players and helping them find other players of the same gender around them, and perhaps even to help the next top female player in the US to discover the game. Thanks for the Chesskid membership. My two girls are enjoying it. subjects like chess, math,or sports. Alice is a wonderful role model for the girls to face challenges in life: if you work hard, you get it. Thank you to host the all girl chess camp. My 6 years daughter had a lot of the fun! Thank you so much for your time and dedication to getting young girls involved in chess. My daughter had never played and came home excited and played right away with her father. At some point she got the message that chess was hard and that she might not be able to learn. She doesn't feel that way now. Thank you again! Thank you all for organizing such a wonderful event. Happy holidays to you and yours as well! Chloe had a amazing time and it was such a great experience for her. She’s looking forward to the next one. ﻿I wanted to thank you for putting this event together. My grandaughter attended and enjoyed the camp. It was great for her to meet new friends and play chess! Since the camp is 100% free to all participants, I hope that you would be willing to help donate in order to help provide each player with a t-shirt, chess set, and a beginner's training book. Every dollar would be greatly appreciated.